Here at HubSpot, we spend a lot of time thinking about the future of content. We ask questions like, “Which will come out on top -- augmented reality or virtual reality?” and "Will AI take over our blog?" Classic science fiction movies aside, there's data to suggest that our willingness to read might be on the decline. Between our rapidly-dwindling attention spans -- thanks in no small part to smartphone use -- to the 59% of people who share articles online without even reading them, there's no denying that marketers should be thinking strategically about how to recapture their audience's interest with more engaging written content. That’s where off-site content enters the picture. But why? And how does it work with your current online presence? We’ve broken down how it can get people to actually read your words, and make them count. Chances are, you already have a website, and perhaps a blog that “lives” on it. Off-site content is the material that isn’t on your website. You might own it, or it might have been earned -- the latter being content that someone else created, but primarily concerns your business, such as a review or case study. For the purposes of this blog, we want to address the off-site content that you own and can therefore create and control. That includes social media, blogs, and podcasts, for example. And while it's important to diversify all of your content, today, we're going to focus on the written kind. For example, HubSpot has multiple blogging properties. In addition to this marketing blog, which lives on HubSpot’s website, we also have ThinkGrowth.org, which is published on the Medium platform. It’s content that we own and produce, but it doesn’t exist on HubSpot.com. Starting to make sense? Once you understand the concept of off-site content, you can also begin to see its value in getting people to fully read what you publish. When it comes to content marketing, different formats and channels accomplish different things. In fact, they might each even attract different audience segments. Take our aforementioned Medium publication, ThinkGrowth.org. While it’s still owned by HubSpot, you’ll notice that the content is a bit different from what’s on our marketing blog. Having those various channels to share your expertise presents tremendous opportunity. We’ve covered the importance of blogging on behalf of your company, and we stand by it. But while a corporate blog often has to maintain a very specific, branded voice, off-site content affords marketers the opportunity to experiment with different voices, styles, and subject matter. Off-site content is particularly crucial to those new to business blogging. As my colleague, Sam Mallikarjunan, writes in “Why Medium Works,” it can take up to six months of consistent publishing on your company’s blog before it gains significant traction. (And we’re not discouraging that -- stick with it, and find ways to supplement those efforts.) But off-site content diversifies your audience by engaging readers who might not have otherwise found your website. Medium, for example, connects your content with the people most likely to read it. Plus, you’re creating a publication on a platform that comes with a built-in audience of at least 6.3 million users. There's also a nifty readability measure attached to every Medium post that indicates how long it will take to get through. As you write, you can see an estimate of how many minutes it would take to read the post on your list of drafts. Remember that dwindling attention span I mentioned earlier? 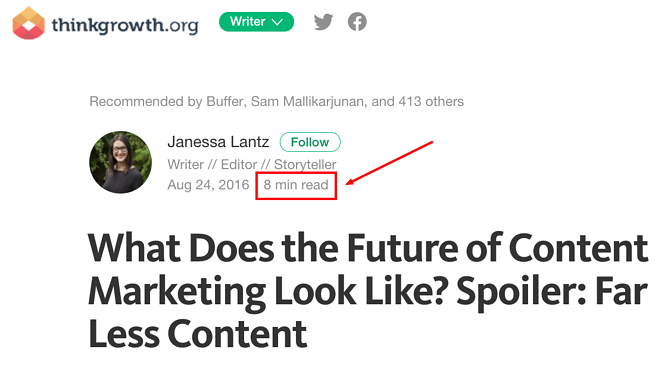 You're going to lose about half of your readers after fifteen seconds. Keeping your length in check helps to make sure they actually read what you put out there. But as Mallikarjunan emphasizes, Medium is not a replacement for your company’s blog. It can’t be optimized for SEO as well, and it doesn’t come with the same lead generation tools. That's the real point of having multiple channels -- in the end, they all work in tandem. Writing well in one voice is hard enough, and I dedicate my entire day to it. I can only imagine how difficult it becomes when it’s one item on a list of many tasks and you have to establish a different tone for each of your content properties. That’s where a dedicated writer can be an asset to your content team. But why journalists, specifically? Journalists tend to be compelling story writers. Back in the day, they were responsible for writing unique, curiosity-provoking headlines, and leading each story with a hook that had to grab and hold the reader’s attention. Today’s journalists, especially those working in the online realm -- many of whom are required to know at least a bit about SEO -- can do the same thing for your brand's content. But quality content writing goes beyond good storytelling. Journalists are trained to ask difficult questions, which can help them identify content gaps in what you’re currently producing. Plus, they’re often tasked with collecting and synthesizing data from multiple sources -- studies, interviews, and raw data -- into something comprehensive that readers can easily follow. In this context, “journalist” can carry a broad definition. Freelance writers can fall under the same umbrella, especially since they’re often used to writing for several publications at once. That experience is highly applicable to your various content channels. Remember, all of these skills lead to a single end goal -- to write high-quality content that’s engaging enough for people to read in entirety -- and share it. We know -- you’ve got enough to do. Asking you to maintain multiple content channels might seem like a lot. But that’s part of the value behind having someone on your team who’s dedicated to it. 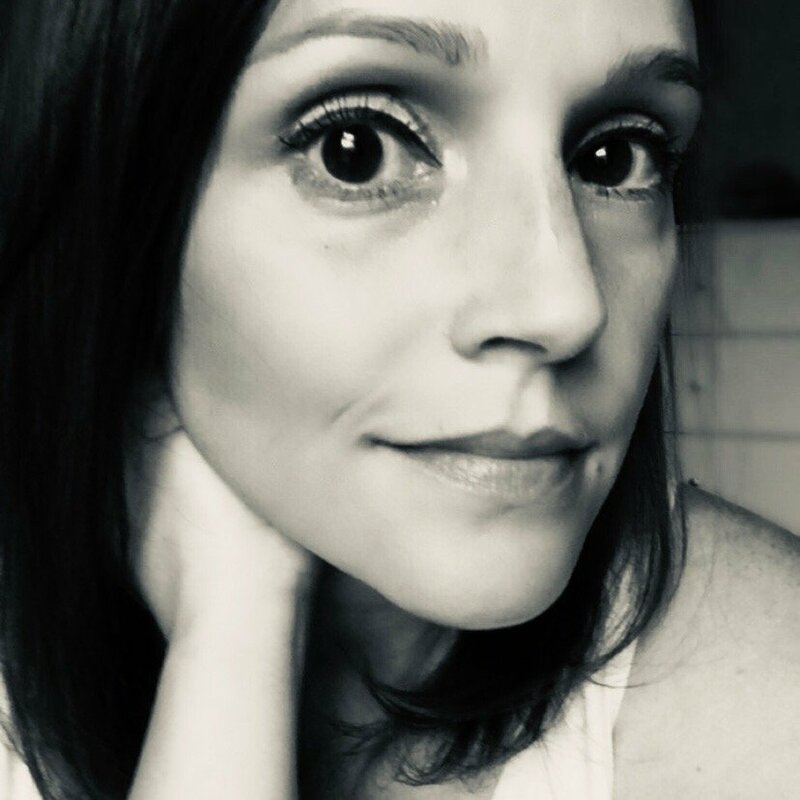 Not only does this person ideally come equipped with the necessary strategic and editorial skills to produce great content, but also, there’s a reduced risk of distraction from other outstanding responsibilities. Turning content creation and management into a full-time role lends itself to consistency, which is crucial -- after all, how likely are you to trust a brand that hasn’t produced anything new in the past 30 days? In this case, be sure to evaluate each candidate’s background carefully. Not only should this person have strong writing skills, but also, he or she should be familiar with off-site content channels and have some interest in marketing. Finally, if all else fails, you can try to start with small steps and dedicate your own time to off-site content creation. Maybe it’s actually one of your strongest skills, and you enjoy that type of work. If that’s the case, it might be time to find someone else to whom you can pass the torch of the work you’re doing now -- the things that prevent you from consistently producing quality content -- and approach it the same way we advised filling a content role. And as cliché as it sounds, please -- have fun with this content creation. By now, it goes without saying that your content has to be strategic. But it also must have passion behind it. If it bores you, how can you expect it to engage someone else? Think of the questions you ask yourself each day at work, kind of like the questions I led with at the beginning of this post. Then, answer them. Tell a story with those answers. Personally, I can’t wait to read it. How do you use off-site content to gain better readership? Let us know in the comments.